Take your front row seat for these intriguing conversations with renowned Silicon Valley leaders and innovators. Computer History Museum's acclaimed speaker series is now on KQED Plus with valuable insights into the process, risks and rewards of technological innovation. 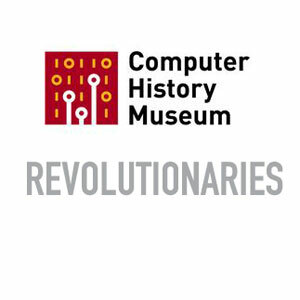 Revolutionaries is made possible in part by support from the Carsten-Ellis Foundation. We continue our track on the Future of News as John Hollar, a former journalist himself, sits down for an in-depth conversation with Medium's CEO Evan Williams, and the editor-in-chief of its tech hub Backchannel, Steven Levy. There have been many books-on a large and small scale-about Steve Jobs, one of the most famous CEOs in history. But this book is different from all the others. Becoming Steve Jobs takes on and breaks down the existing myth and stereotypes about Steve Jobs.